Other cancelled TV shows have large fan followings who often try to persuade TV companies to reinvest in relaunching the show or, in rare cases, commissioning a feature length ‘wrap up’ to allow audiences to receive some sort of narrative closure. Famously, the cult success of Joss Whedon’s TV Sci Fi Firefly (Fox: 2002) led to the funding of Serenity (2005). The TV show was cancelled before all the episodes had been aired but DVD sales found a new and, at times, fanatical audience. The ‘word of mouth’ growth of the audience persuaded Fox to invest money into the film. HBO’s Deadwood – cancelled in 2006 after three seasons is rumoured to be making a comeback in movie form. 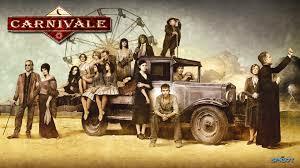 No such luck (as yet) with Jericho (CBS: 2006-7) nor the much missed Carnivale (HBO: 2003-5). 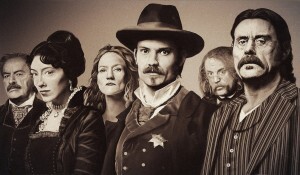 These US TV shows could be argued to have been before their time. They were broadcast under an old model that demanded the programmes attracted their audience immediately and they needed their audiences to commit to watching weekly – usually at the same time each week. These programmes appeared at the start of what is often called a golden age of TV drama – but too soon to take advantage of new viewing models such as streaming and catch-up services. Jericho became a comic book and Firefly is still pulling in an audience on Netflix so, there may not be any new episodes to enjoy but the new viewing models allows audiences to find and enjoy cancelled TV shows. 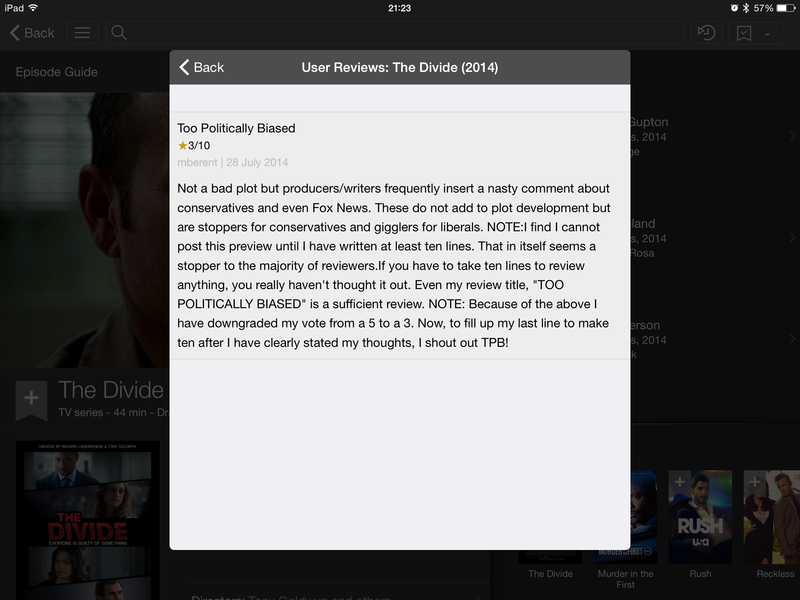 One recently cancelled show that’s worth a look is The Divide (WE: 2014). The Divide was a short-lived US crime drama that managed to avoid the usual cliches. Instead of focusing on the procedural aspects of a case it explored flaws in the judicial system and developed interconnected stories touching on complex themes of race, class and corruption. The story began with a convicted murderer attempting one final appeal whilst on death row and, his crime, an 11 year old case, was shown still to have repercussions for those involved in the case over a decade later. The Divide didn’t quite have the scope of The Wire and had a tendency towards soap-like melodrama in places but it had an ambition to do more that present violent crime as an entertainment for the audience. There are elements of the final episode that are truly shocking and the picture painted of a system and the way money and power influence the way justice is applied. As so often happens with more intelligent TV, The Divide was cancelled after a short first season leaving the story-lines unfinished. As the programme showed that complex issues are complicated rather than indulge itself in simple ideas of ‘right’ and ‘wrong’, it clearly didn’t make any friends in the Fox News watching demographic – a channel it cracked a joke about in its first episode. Here is surely one of the best negative reviews on imdb! !